Every day, it seems, I hear someone say “America is about to experience a revolution.” This is always interesting to me because I wonder what they mean by their comment? Are they referring to a revolution as was our experience when we fought, and won, our independence from the Crown? If that revolution is what they mean, then who would we be separating from and what is their desired outcome of such a revolution? If that is not the revolution they are speaking about, what do they, then, in fact mean by revolution? Are they feeling like a total change in our government is needed, or do they just want their lives to be improved through the economy? I do not want my blog to ever become a place for talking about politics, but I do ponder the discussions I have with the people I interact. I decided to post a paper that looks back at another period in American history where the people of this great nation were searching for change, a revolution of sorts, and without really expecting something revolutionary, just might have found it. I present my own findings of that historical period here in this post. I hope you enjoy what I came up with. 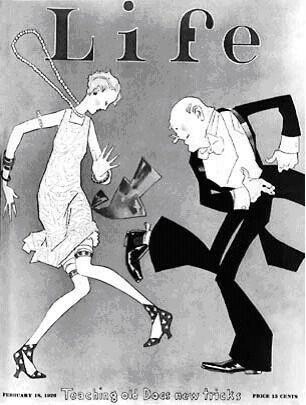 Were the "Roaring Twenties" really roaring? Or just how we want to remember them? The so-called “Roaring Twenties” ended with a crash. The pre-existing economic conditions, coupled with the collapse of the stock market in 1929, only widened and deepened a depression that already existed within the United States. Americans had grown weary of President Hoover’s promise that “prosperity [was] right around the corner.” Between 1929 and 1932, close to 1500 banks permanently closed, over 100,000 businesses had failed, schools were closing due to a lack of money, foreign trade was collapsing, and industrial production was in decline. Additionally, unemployment was fast approaching 24% and Americans were no longer aiding the economy through consumption because many, if not most, had lost everything. In 1932, Americans made their voices heard. With the power of their vote, they communicated to Hoover that his laissez-faire, or hands-off policies, were no longer acceptable. Having received only 59 to his opponents 472 electoral votes, Hoover was out. 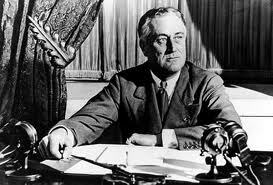 Franklin Delano Roosevelt (FDR) became the President of the United States during a challenging, if not the most challenging, time in American history. America came dangerously close to a revolution during this period of history. If one defines the term revolution as “a fundamental change in political organization, or in a government or constitution; the overthrow or renunciation of one government, and the substitution of another, by the governed,” then Lewis was right to believe that a possible revolution was close at hand. But if revolution is defined as “a total or radical change; as, a revolution in one’s circumstances or way of living,” then America was not just dangerously close, but actually experienced a revolution during the Great Depression of the 1930s. To find proof that Lewis was correct when he ascertained through his writing that America was dangerously close to a revolution in the 1930s, one need not look further than his novel It Can’t Happen Here. Lewis Sinclair's book It Can't Happen Here had a very clear message for Americans. Published in 1935 as a political satire, Lewis brings to the surface real life situations and fears within a fictional, but eerily realistic, story. Lewis makes it clear within the novel that Americans are not paying attention to what the leaders they are following are really saying. He points out through his writing that people were being led to their own slaughter. The characters within the novel are hearing one part of a message presented to them, but ignoring the aspects that will lead to the demise of the American way of life; the way of life Americans of the era hope will one-day return. 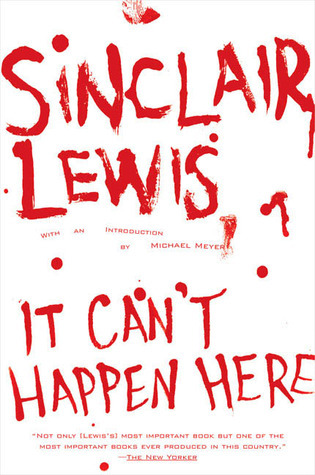 Lewis masterfully instills fear in his readers within the pages of It Can’t Happen Here. The novel works to bring to one’s consciousness what might happen if the American people follow blindly those who promise an easy solution to their problems. Lewis aimed his novel at those same Americans who might one day wake up to a government that is far different from the one they had repeatedly fought to have and preserve; a government founded on the belief in democracy. Throughout the 1930s, there were political hopefuls rising up and gaining popularity who held alternate ideals about the American government. Huey P. Long of Louisiana and Father Charles E. Coughlin of Michigan were two real life political leaders who showed up in Lewis’ novel by way of the characters Berzelius Windrip and Bishop Prang, respectively. Lewis himself even seems to have made his way into the story as well. Having written the novel at the height of the crisis, Lewis represented himself via the hero, Doremus Jessup, who, as a newspaper publisher, represents a Thomas Paine-like character of American Revolution fame. All three men–Paine, Lewis, and Jessup–used the written word to enlighten the American public to the realities of the situation at hand in order to stop the blindness that kept people supporting leaders who demonstrated behaviors believed to be destructive to their political system and the American way of life. By referencing actual political solutions offered to the American people, Lewis was sending a message that these plans were just the rhetoric of a fascist dictator in the making and for the American people to wake up and pay attention. Long was assassinated before a single vote for his presidency could be cast. Windrip, on the other hand, won the election and played out the very fear, a fascist dictator as president of the United States, that Lewis was arguing Long could have become if elected. Long, an example of the extreme definition of revolution, “the overthrow or renunciation of one government, and the substitution of another, by the governed,” exhibited ideals that Lewis was trying to warn Americans against. Lewis was showing from within his novel, and by the use of the Windrip character, that had Long been elected, a fascist revolution could have happened right here in America. Father Coughlin was another very popular man spreading a message that millions were listening to with great interest and burgeoning support. 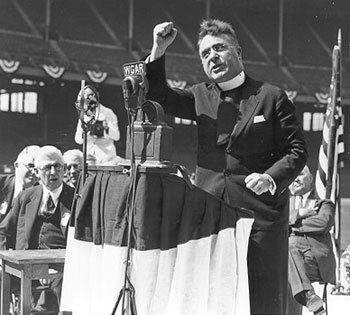 Coughlin was a Catholic Priest with a national radio show that began as an uplifting program, but quickly became a way for Coughlin to express his views on politics. His views were exceedingly fascist in nature. He criticized bankers and called them greedy. He also criticized the Wall Street moguls, Hoover, and eventually Roosevelt—whom he had once supported—and blamed the Depression on the Jews. Lewis wrote the character Bishop Prang to represent Father Coughlin. Both Coughlin and Prang argue for a nationalized banking system, both blamed Jews for the issues within the economy and both had huge audiences. At a time when Americans were suffering and solutions were not forthcoming, Coughlin, as well as Prang, the radio preachers, were offering possible solutions that had the potential to gain them much influence with listeners. 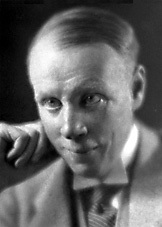 By creating a character to represent Coughlin, Lewis allowed Americans to see how the radio and a platform of fascist ideals could be a powerful combination that might convince people to follow a specific leader—and eventually use their vote to allow a fascist president to get into office. Long might have been one such leader that Coughlin supported from his radio program just as Prang supported Windrip. Possibly, because of Coughlin’s popularity and the message he was spreading, Lewis felt compelled to let the American people see how dangerous it was to blindly believe everything they were being told—even if what they were being told was coming from their trusted and well-liked radio preacher. Because of the power of the radio and the popularity of these radio preachers, Coughlin, in reality, and Prang, within the novel, a person running for president on a fascist platform could have gained enough support to win election into the presidency and cause the kind of revolution that Lewis feared could actually happen here. While Lewis believed that the country was close to a revolution and wrote a novel to support how he knew it either could happen or was happening, FDR was leading the nation into a revolution that had long reaching effects on the United States that persist today. The New Deal was, in fact, revolutionary as it was clearly “a total or radical change; as, a revolution in one’s circumstances or way of living.” The New Deal focused on three main goals: one, relief–to get Americans back up on their feet; two, recovery–in order to bring back the economy; and three, reform–in order to put policies in place that would ensure that the crisis America was facing would never happen again. During his first inauguration speech, Roosevelt told the American people, “[o]ur primary task is to put people to work.” Americans needed jobs, a way to earn a living, in order to realize the “relief” aspect of the New Deal. In his first speech as President, FDR promised the American people he would attack the problems that the country had been facing as “if we were in fact invaded by a foreign foe.” This was a message the Americans wanted, and needed, to hear, but a promise they also wanted to see realized. Roosevelt was inaugurated on March 4th, 1933 and on March 13th he did something truly revolutionary. The first time a President of the United States spoke directly to the American people. He sat down and spoke to the American people via radio. He opened his broadcast by calling the American people his “friends” and went about discussing, frankly, why the country was struggling the way it had been. He asked for their patience and support as he worked to solve the problems. In order to restore their confidence in the banking system, he asked them to deposit their money back into the banks. The radio discussion was revolutionary because the President of the United States had never talked to the American people so intimately, so directly, and had never come into their homes to do so, ever before. This “fireside chat,” as they would come to be called, occurred thirty times between 1933 and 1944. During these chats, FDR took the American people as partners in the actions of the government, placing the American people in a position of power—power by way of knowledge—concerning the situations they were living with. The policy of the president speaking to the American people, speaking directly into their homes, persists today in the State of the Union Address and the weekly radio message from the President. Roosevelt was a revolutionary president in the way he dealt with the press, the Congress, and the Supreme Court as well. FDR was determined to get the policies in place that he felt were necessary to give the American people the relief, recovery and the reform that they desperately needed. The New Deal, packed with programs to create relief and recovery, was Roosevelt’s promise to the American people. There were many new programs. Some of the programs were controversial and did not help every citizen equally, and some Americans saw no help at all. The Agricultural Adjustment Act (AAA), for example, was one such program. The nation was hungry and this act called for farmers to destroy their crops; farmers benefited when asked not to grow crops. The farmers, paid a subsidy for not growing, found themselves able to make money. The goal of the act was to raise prices based on supply and demand principals and to curtail overproduction so that farmers could make more money by producing less. 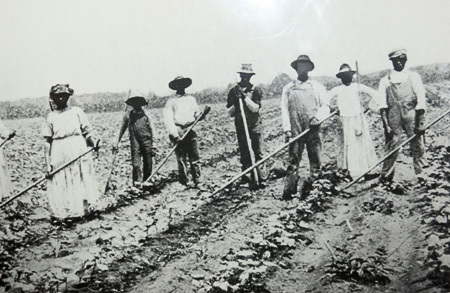 Although this plan was good for land owning farmers, those who were sharecroppers, African Americans for example, found themselves harmed by this act. Because landowning farmers were paid not to produce crops, the sharecroppers, who were dependent on the rented use of land to make their living, were forced off the land. This meant that not only were they unable to make a living, meager as it was, they no longer had a place to live. Since they could not produce crops, they could not pay the property owner and they were forced to move away from their homes. This made an already bleak African American struggle much more difficult. Although there were concerns, criticisms, and inequalities in this relief, it was still a revolutionary act because the focus had never been, at any time in history, to aid the landowning farmers. There were other revolutionary aspects to the New Deal. The National Industrial Recovery Act (NIRA), aimed at helping with the problems faced by the industrial sector, was one organization. The National Recovery Administration (NRA), which existed under the NIRA and aimed at fair codes of competition, was another. This act was revolutionary because it established a national minimum wage, the 40-hour workweek, outlawed child labor, and unions won the right to organize. All of which are still very much a part of the American way of life today. Additionally, the Public Works Administration (PWA) offered many Americans the relief they desperately sought. This aspect of the New Deal focused on recovery as well as relief. Unfortunately, this act provided for white Americans first. Most Americans of color were turned away or paid lower wages than whites when they applied to receive work through this program. White Americans were given the task of handing out the jobs and in a time when racism was high, people of color were, in fact, excluded from this relief. In the end, however, these organizations created many new jobs and many projects initiated that benefited the country as a whole. The Hoover Dam, for example, came about as a PWA project and remains a critical source of power and water control for the west coast to this day. The government’s use of public money to put people back to work was absolutely a revolutionary concept that worked. Never before had the United States government invested so much money into the American people as to provide jobs in order to ease the financial devastation created by the Great Depression. If there was one program that came out of the New Deal, and was arguably more revolutionary than the others were, it was the Social Security Act (SSA). This act went to the reform aspect of the New Deal. The SSA was to ensure that Americans would never find themselves in bread lines again, on a massive scale anyway, as they were in the 1930s. This act was completely revolutionary. One could argue that the SSA was revolutionary because it supplied unemployment insurance, survivors’ benefits, and financial support for the elderly. Others could argue that the act was revolutionary because it provided a way to protect capitalism, an insurance plan of sorts, by putting government money in the hands of Americans who would turn around and spend that money, putting it right back into the economy. Some people, however, found themselves excluded from this act as well, in the early years, but today it is available to all who pay into it. Although challenged, the first New Deal and many aspects within were deemed unconstitutional by the Supreme Court, but FDR did not give up. In his Second New Deal, he simply reorganized his original plan, changed some of the names, and pushed them through again. Roosevelt’s “stick-to-itiveness” decisions allowed the New Deal to be a bigger success than it was a failure. It enabled the successful plan to begin the process of pulling Americans out of the Great Depression. It would take WWII to complete that goal. The 1930s were definitely turbulent. The possibility of a revolution, as Lewis tried to point out in his novel, in the form of the “renunciation of one government, and the substitution of another, by the governed,” willingly and knowingly or not, was indeed at hand. 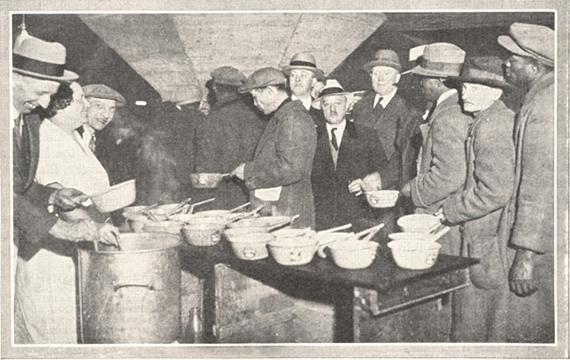 Americans were desperate for relief from hunger. American struggles and living conditions, coupled with the messages of easy solutions spread by popular leaders with fascist ideals, certainly set the stage for what could have been Lewis’ belief in a fascist revolution realized. Nevertheless, FDR and his policies within the New Deal, although far from perfect and not all-inclusive, provided for many aspects that were clearly revolutionary. What began as a decade of great hardship, the Great Depression, ended as a decade in the beginning stages of the greatest level of national unity America has ever experienced, World War II. By 1939, the nation had begun to band together in a renewed sense of nationalism to aid the nation’s allies in the war that would consume America for half of the next decade. in the third line of the first paragraph. 2. Ibid., November 6, 2007. 3. Prompt given by professor for this paper assignment. 4. The Webster Dictionary Online. http://www.websterdictionary.net/d.aspx?w=Revolution. first third of the book. Documents (Boston: Bedford / St. Martin’s, 2000), 126. 8. Lewis, It Can’t Happen Here, 129. 9. Lewis, It Can’t Happen Here, 129. 10. Class Notes, Watts. November 8, 2007. 11. Lewis, It Can’t Happen Here, 40-42. 12. Class Notes, Watts, October 30, 2007. 13. Polenberg, The Era of Franklin D. Roosevelt, 41. 14. Ibid., 1-42. And Class Notes, Watts, October 30 – November 1, 2007. Lewis, Sinclair. It Can’t Happen Here. New York: New American Library, 2005. Polenberg, Richard. The Era of Franklin D. Roosevelt, 1933-1945. Boston: Bedford / St.
All images used in this posting are intended for educaional purposes only and no copyright infringment is intended. Once again, a very insightful post. I don’t know for sure what needs to change in our government today, but something needs to! Extremely well done.The post reminded me of the conversations my mother and I would have once in awhile. The many items brought up such as Hoover and his hands off policy is very true. His lack of action may have been a cause for Japan’s attack at Pearl Harbor, they blamed the US for the world’s economic crisis. A revolution did take place that forced millions to change their economic and political life. Huey Long was defined by my father as the “Louisiana Dictator”. The post was right on. Too bad we haven’t the leaders to understand the past so they can work on the present-future. Thank you so much for your wonderful feedback. I appreciate your support and hope you continue following me. History is so much a part of our daily lives so it is wonderful that you appreciate the posts I put up here. Thanks again! Hello, constantly i used to check website posts here in the early hours in the dawn, as i enjoy to gain knowledge of more and more.